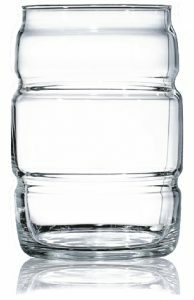 Customized bulk Drinking Jars with handles- 3.7 oz. and 16.5 oz. 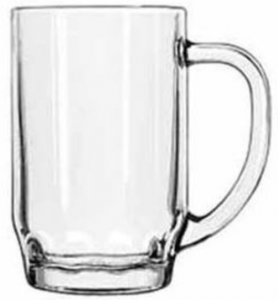 This classic design drinking jar isn't just for alcoholic drinks- it's great for iced tea, lemonade or Arnold Palmers, as well. 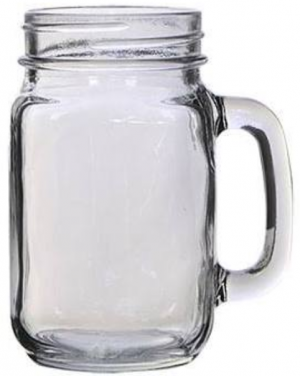 Available in a mini size at 3.7 ounces and a large size at 16.5 ounces, these glass drinking jars come 12 per case. 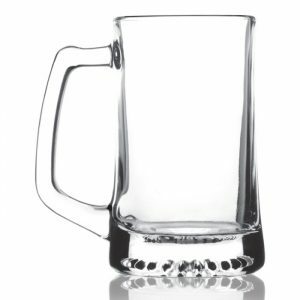 Go the extra step and give your customers a memorable experience- get every glass imprinted with your logo at Deja Brew.